Problem. Show off modern architecture. 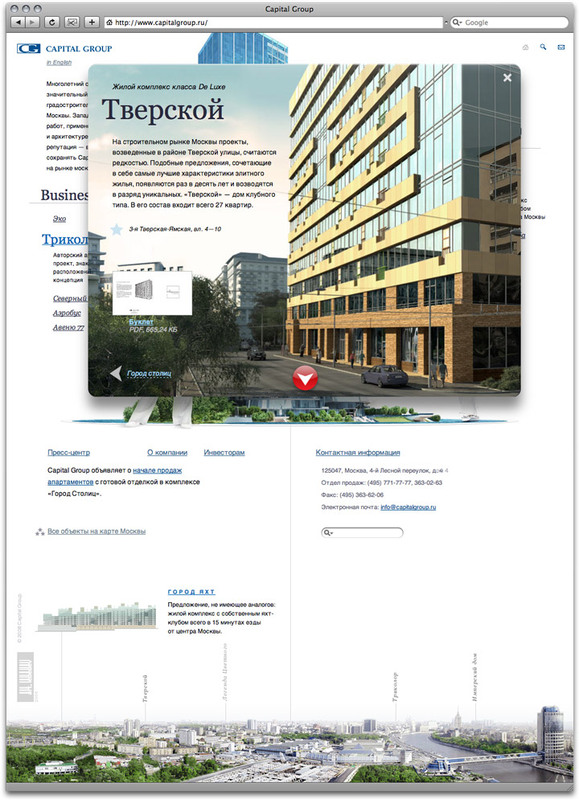 Capital Group is one of the leading realty and development companies in Russia. Their projects in Moscow are always eye-catching. 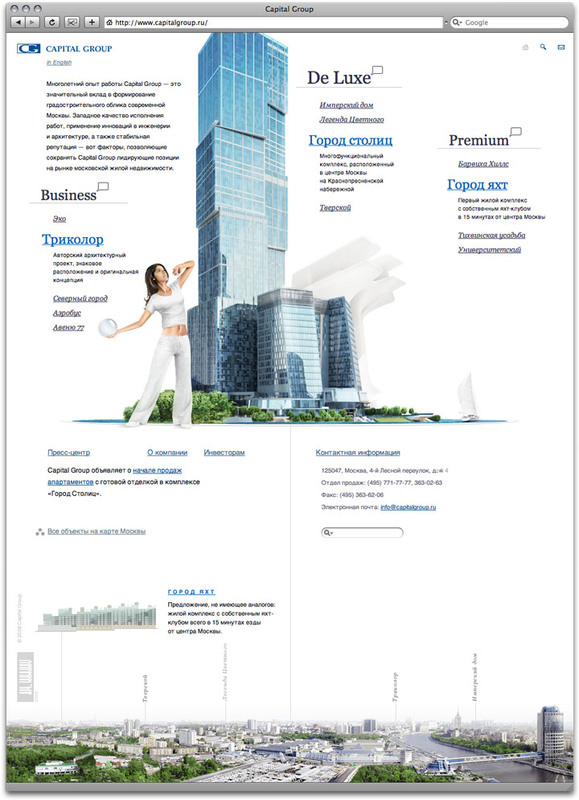 The new website highlights their advantages.